File photo of glass bottles and jars. 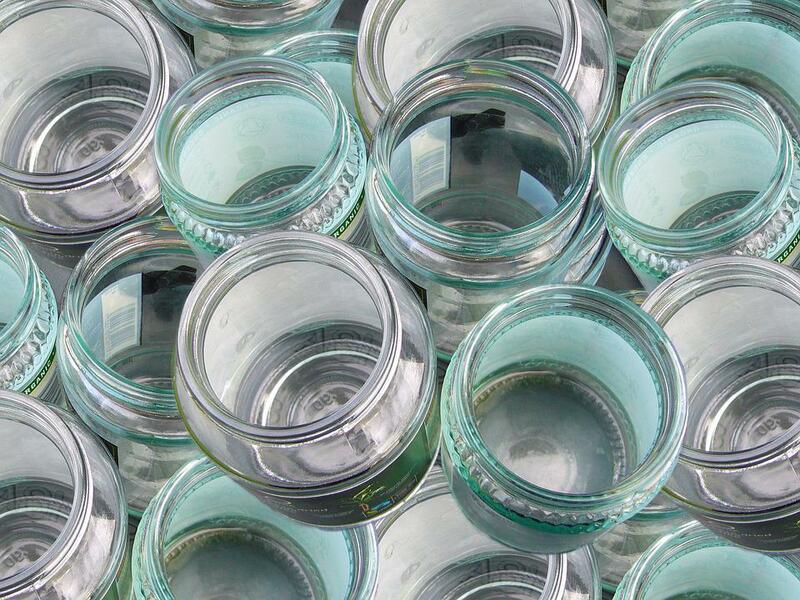 Moore County has made a deal with the country's largest glass recycler, and now, officials hope it will enable county residents to keep glass bottles and jars out of the landfill. Market changes -- and a recent fire at a material recovery facility -- drove up the cost to haul recyclables fourfold, from $25 to $100 per ton. Moore County has opted to ban glass, which is the heaviest material, from the stream of recyclables it ships to a nearby processor. Now, Solid Waste & Recycling Division Manager Chad Beane says glass will be stored in a separate "bunker" until it can be shipped to a company called Strategic Materials. Beane says he hopes the county's high recycling costs are temporary. The sorting step will make the process slightly less convenient than the single-stream option, Beane acknowledges. But he hopes residents will continue to recycle. Aberdeen and Pinehurst recently banned glass from their curbside recycling pickup programs. One town in Moore County is no longer accepting glass bottles and jars in curbside recycling bins. It's a cost-saving measure amid skyrocketing fees. Recycling is becoming more expensive pretty much everywhere. But Moore County faced sticker shock this summer when a fire closed the material recovery facility that had its contract. The county tipping fee jumped from $25-per-ton to $100, making recyclables much more expensive to haul than garbage.